ReGen Laser is full service medical spa specializing in laser tattoo removal, laser hair removal, skin rejuvenation and other laser services using advanced technology. We also offer a full host of aesthetic services and other medical services such as microdermabrasion, facials, microneedling, dermaplane, sunless tanning, waxing, and chemical peels. New to a service? Never worry about having to pay upfront or paying for advice. Book your appointment, and if you just need advice that is what you will get. We love helping people understand our services so they can make an informed decision. ReGen Laser specializes in laser tattoo removal, laser hair removal, skin rejuvenation and other laser services using advanced technology. We also offer a full array of esthetic services and injectables. Because Tribal Rites is our direct partner you receive the benefit of knowledge from both sides of the art process. Taking off your old or unwanted tattoo, and giving you something new and beautiful that you can be proud of. Or we can just take off the tattoo and you can feel good about that. 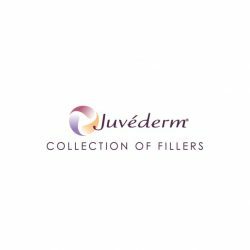 We offer a full line of injectables to serve your need to enhance those minor attributes that are caused by aging and muscle use. BOTOX® Cosmetic is the first and only FDA approved treatment to temporarily smooth moderate to severe forehead lines, crow's feet, and frown lines in adults. be customized to your individual needs for filling out cheeks, lines, and lips. We all make mistakes, or sometimes we just want something else. In this age of instant gratification we all have jumped off a cliff we shouldn’t have. It is becoming an old story. Out with friends, feeling good, stop in the local tattoo shop and get whatever your friend dared you to get. Maybe you got a name of your previous beloved, or maybe you just got a really bad tattoo. Whatever the case. ReGen Laser is here to help. Laser Tattoo Removal is an incredible technology that uses short pulses of intense light that pass harmlessly through the top layers to be absorbed by the tattoo ink. The laser energy causes the ink to fragment into smaller particles that are then absorbed by the immune system. What should I know about laser hair removal? Our clients love us and so will you! See more reviews by clicking below. And please let us know how we are doing. I have had a couple treatments done here. So far I have had great success. The tattoo on my back is black and grey and I've had one treatment. I didn't blister at all, and it's fading rapidly!! The laser here is really nice. It has the ability to work on all colors. I sent a friend of mine here who has green and red in his tattoo and he is also seeing success!!! I'm excited to finally have new and fresh skin! ReGen Laser was a fabulous and rewarding experience for me. Judy is nice in explaining the process and putting my anxiety at ease concerning such a procedure. Judy is knowledgeable and trustworthy as the results confirm. An old haunting tattoo has been removed from my body and I am extremely happy with the results of my tattoo laser removal procedure. I was shocked how little if any discomfort was experienced during my procedure, Judy does have that soft touch. ReGen Laser is where I refer all of my friends and loved ones now. Thank You for this memorable, life changing experience.